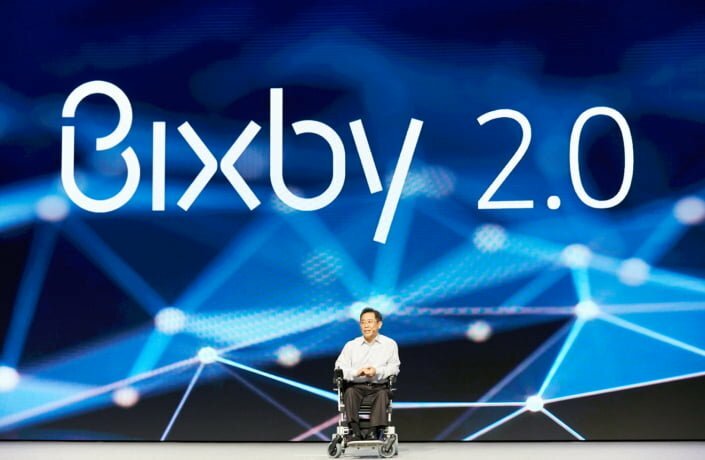 As expected, Samsung, at its Developer Conference in San Francisco, has announced an advanced version of its voice assistant, dubbed as Bixby 2.0. “Bixby 2.0 will be a fundamental leap forward for digital assistants and represents another important milestone to transform our digital lives,” said Samsung in a press statement. Earlier this year, Samsung announced the Bixby voice assistant to take on rivals such as Amazon Alexa, Google Assistant, and Apple Siri. But it failed miserably as the former was not able to recognise English accent properly, which ultimately led Samsung to postpone the launch by another two months. Recently, Samsung rolled out the full-fledged Bixby with voice assistant in various countries. And with Bixby 2.0, Samsung is expanding the voice assistant’s reach to many people out there, and even third-party developers can now work on the digital assistant. “Bixby 2.0 will be ubiquitous, available on any and all devices,” said Samsung. This essentially means that Samsung is expanding the Bixby support for Smart Home devices, and it acts as a control hub to your device ecosystem, including mobile phones, TVs, refrigerators, home speakers, or any other connected technology. Soon, developers can start working on the services to add to their own device, and will not have to reinvent their services each time they support a new device. Bixby is now available in over 200 different countries, with more than 10 million registered users. Samsung also said that Bixby will be more personal with enhanced natural language capabilities for more natural commands and complex processing, which means it can recognise you easily. And finally, and most importantly, Bixby 2.0 will be open. With Bixby 2.0, Samsung is opening the doors for developers to choose and model how users interact with Bixby in their services across all application domains such as sports, food, travel, etc. Furthermore, Samsung also released a first private beta program with Bixby SDK, which will be available for select developers. For now, the SDK is limited to select developers, but Samsung will eventually roll out it to all the developers out there. Xiaomi Mi A1 vs Huawei Honor 9i: Battle for Best Mid-Range Dual Camera Smartphone! Will Bixby 2.0 be available for Samsung Galaxy S7 Edge?